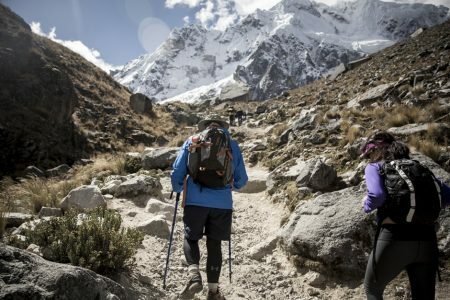 Experience The Salkantay Trek to Machu Picchu in style. 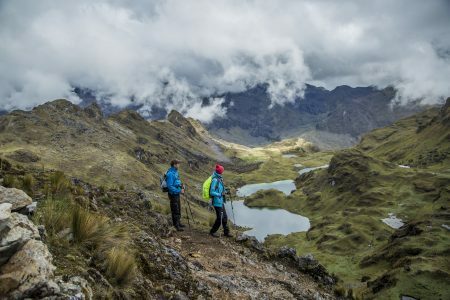 This 7-day lodge to lodge trekking adventure will take you on a historic section of Inca trail through 15 different eco-systems, while you traverse a mountain pass over 15,000 feet, explore villages where locals still maintain age-old traditions and re-discover the mystical beauty of Machu Picchu, the crown jewel of the Inca Empire. Each day’s trek ends with a hot shower in a cozy lodge, complemented by a massage or a dip in an outdoor jacuzzi, followed by a gourmet meal with select wines and all provided with highly personalized service by local staff. 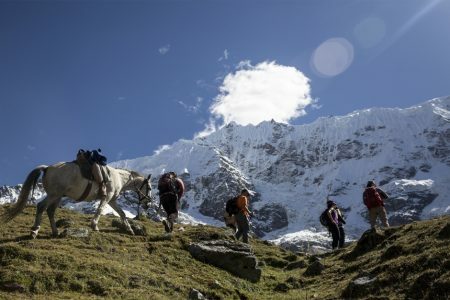 The Salkantay adventure goes beyond deluxe lodges and a great trek… it is a unique opportunity to experience ancient history in the Land of the Incas, as well as the most interesting and exotic variety of flora and fauna, all in the company of new friends and like-minded souls. Meet & greet with other guests where you receive important information for a great trekking experience. NOTE: Transfer & Overnight in Cusco not included. learn about local agriculture and livestock. 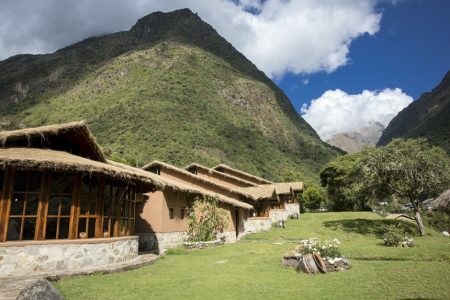 turn of the Camino Real, the Salkantay Lodge will come into view. Optional: Guests who do not wish to trek may be transported to the lodge by vehicle. Overnight: Salkantay Lodge (3,869 m/12,690 ft). Trekking Time: Approximately 3 hours (including box lunch en route). Day two presents another opportunity to gauge your altitude-acclimatization with a halfday hike to Lake Humantay. After breakfast, you begin an ascent up the slopes that border the plateau behind the Salkantay Lodge. An hour and a half later, you will be stunned to see the turquoise water of the lake. Here you will have a chance to relax, enjoy a snack, meditate in the tranquility of this magical spot and be part of a traditional offering to “Pachamama” (Mother Earth). After your descent back to the lodge, the staff will be waiting with a hot lunch. The second half of your day is spent at leisure. You may opt to soak in our outdoor jacuzzi, indulge in a relaxing massage or even take a long nap. Overnight: Wayra Lodge (3,906 m/12,812 ft). Trekking Time: 7–8 hours (including lunch). Hiking Level: Challenging, crossing a 4,640m/15,200 ft mountain pass. Overnight: Colpa Lodge (2,870 m/9,414 ft). Optional Activity: Afternoon bike from Manchayhuaycco to Collpapampa. You will descend through a beautiful valley in which you will admire the diverse cloud forest vegetation through the slopes of the valley. Duration: 3 hrs approximately / Level: Easy. This activity has an additional cost. Today you will hike in the Santa Teresa River valley where you will hop over small streams fed by waterfalls descending from the glaciers and cross through fruit orchards. After breaking for a hot picnic lunch by the river, you will walk for one hour before we meet an MLP vehicle for a short drive to the beginning of the “Llactapata Inca Trail” that leads us to Lucma Lodge. Biking: Option a) Yanama pass – Hornopampa – Lluskamayo. Duration: 5 hrs. approximately. Level: Easy to moderate. It has an additional cost. During a 2-3 hour climb up a path mostly comprised of original Inca steps, you will get a sense of whathiking through the rainforest would be like. Your first milestone today will be the top of the peak, the last one before you reach the Aobamaba River valley that connects you to Machu Picchu. When you arrive at the ruins of Llactapata at the Llactapata Pass (2,736 m/8,974 ft), you will be delighted to see a southeast view of the “back” of the Machu Picchu ruins. Enjoy your lunch a bit farther down the trail in a meadow with panoramic views. 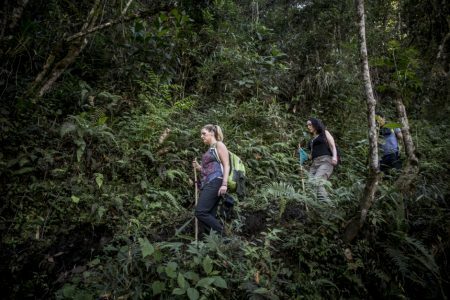 The final descent takes you through lush bamboo forests, until you end the day’s hike at the Hidroelectrica train station. A one-hour scenic train ride delivers you to your final stop, the town of Aguas Calientes at the base of Machu Picchu. 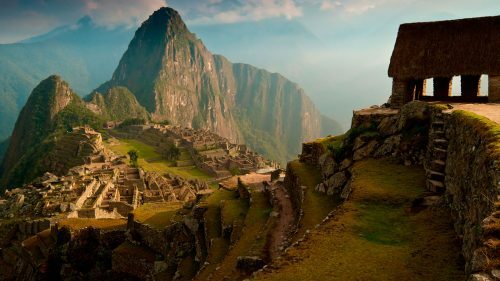 Some may even choose a hike to Huayna Picchu, the iconic towering mountain often seen in photographs. After the visit you will have lunch in Aguas Calientes before your train/ transfer back to Cusco. As night falls and you arrive at your hotel amidst and hustle and bustle of Cusco, you will be touched by a feeling of peace and rejuvenation which will linger even as you journey back home. Return to Cusco (3,360 m/11,021 ft). Note: Huayna Picchu Mountain tickets are subject to availability. All meals (except breakfast on the first day and dinner on the last day). Guided tours during the whole trip. Daily à-la-carte activities (except those that specify an additional cost). Entrance fees and permits to touristic and archeological sites. Tips for staff at the Lodges and staff in the field are included (except Guide tips, it is suggested US$ 5 – 10 per day). Transfer in and out from Cuzco. Transfers in and out from the pier. Tips to Drivers, guides and Porters.